Mid-sized CYBG has approached rival Virgin Money about a 1.6 bln pound all-share deal. The tie-up would enable the pair to more effectively challenge bigger banks. Even assuming modest cost savings, major shareholder Richard Branson can afford to hold out for a higher price. 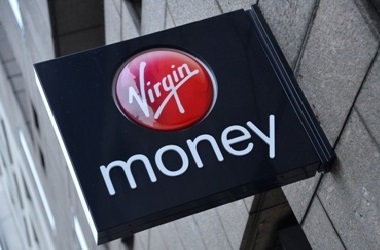 UK challenger bank CYBG said on May 7 it had approached rival Virgin Money about an all-share deal which values the UK lender at around 1.6 billion pounds. The owner of the Clydesdale Bank, Yorkshire Bank and B brands said the combination would create “a leading challenger bank” with “substantial synergy potential”. Virgin Money shareholders would receive 1.129 new CYBG shares for each Virgin Money share. Based on CYBG’s closing share price of 318 pence on May 4, the deal would value each Virgin Money share at 359 pence. The proposed deal values Virgin Money at a 15 percent premium to its closing share price on May 4 of 312 pence. Virgin Money shareholders would own approximately 36.5 percent of the combined group. Virgin Money said its board was reviewing the proposal. Entrepreneur Richard Branson’s Virgin Group owns 35 percent of the company. CYBG was spun off by National Australia Bank in 2016. Virgin Money shares were up 8 percent at 338 pence by 0800 GMT on May 8. CYBG shares were up 1.5 percent at 323 pence.